Every single day 10,000 Americans turn 65 and qualify for Medicare. Every one of them HAS TO MAKE A DECISION and they all look for information and professionals who can help educate them, help them make a decision and help them buy insurance coverage. Medicare Supplement insurance sales have been growing. Today 10,000 Americans will turn 65. Every day for the next 14 years, 10,000 individuals will turn 65 and be eligible for Medicare. But you are not the only insurance agent who has heard this fact. To be successful, you are going to have to be better than your competition. And that’s where the American Association for Medicare Supplement Insurance can help. Our training videos will give to access to learn from the most successful agents in the nation. Our FIND AN AGENT online directory can help consumers find you. The American Association for Medicare Supplement Insurance does NOT appoint agents interested in selling Med Supp. If you want to learn more, we suggest you contact any of the General Agencies or companies. 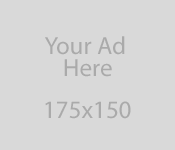 Simply click on their banner ads to access their company websites. The Association makes available videos filmed at our National Medicare Supplement Sales Summits. These are leading Medicare Supplement insurance agents and experts who share how they get leads… how they host successful seminars… how they get the most return from their direct mail … and how they convert prospects into clients. You can watch them using any device connected to the Internet. These are filmed videos — you will see the speaker and any presentation material they shared. Most talks are 15 minutes… very focused information from top experts and agents who are out there every day prospecting and selling. Click the link below to see the various program titles. Save 33% off the cost simply by entering you enter code save33now in the Coupon Code box during check out. To see available sales training videos, click this link. When it comes to buying Medicare Supplement insurance many consumers want to work with a local insurance professional — someone they can meet with face-to-face. Adding your listing is easy and affordable. 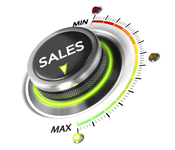 While we will never guarantee you’ll receive a call or email from a prospect, we hear repeatedly from many agents who are not just contacted… but make sales. You can try a listing for a single year or save with a multi-year listing. To read testimonials from real agents who are currently listed and see pricing, click this link. Learn more about being listed..